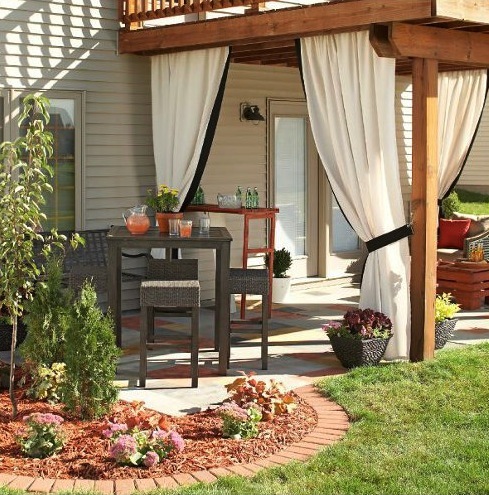 Add privacy and shade to a covered porch by layering hanging pots. 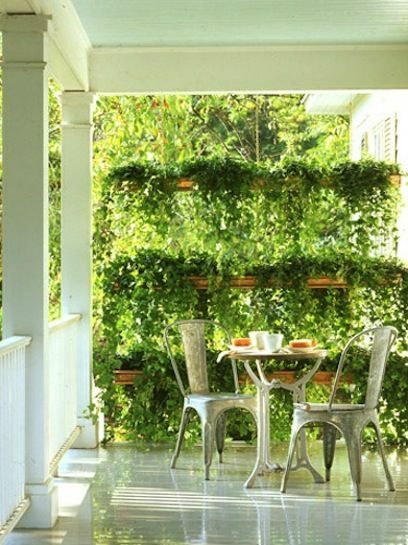 Trailing plants like Ivy are excellent fillers, but just about any full plant or flower will work to suit the season. 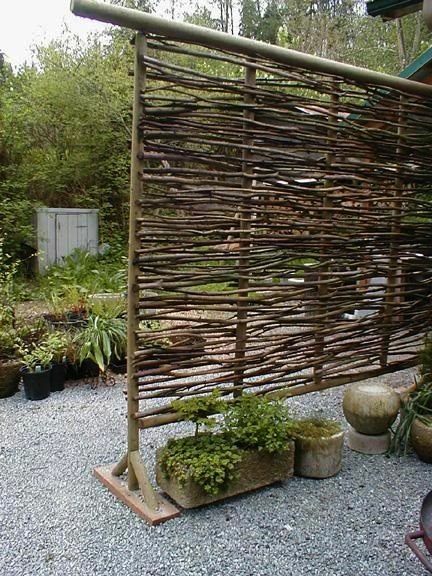 You can also plant fast growing vines in pots, attach rows of fishing line from the flower pots up to the porch cover, and guide the vines to grow up the wire. 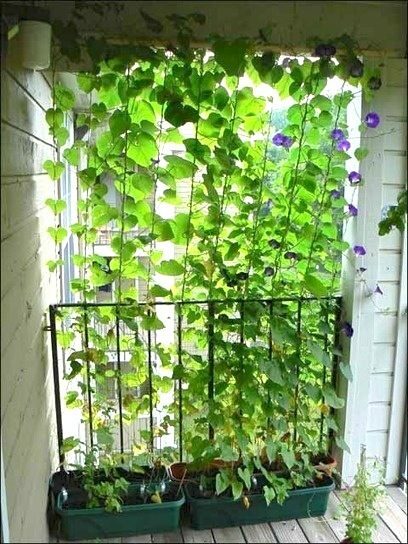 Flowering vines, like morning glory, can reach 20 feet in a matter of just a few months. 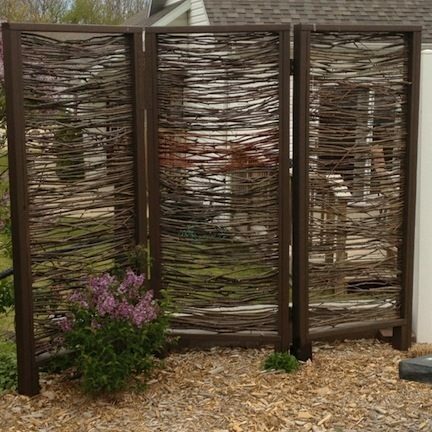 The biggest benefit of a privacy screen is that it’s less permanent than a fence and can be moved around the yard as you please. 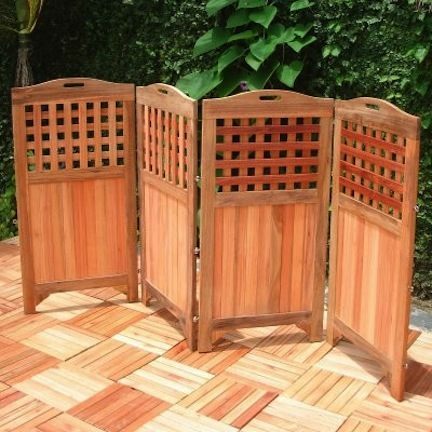 They are great for adding privacy to a small area without having to fence in the entire backyard. They are available to buy in just about every material, but you can also make your own! Just like in your windows at home, privacy curtains made out of outdoor fabric are an attractive way to create a little private retreat. 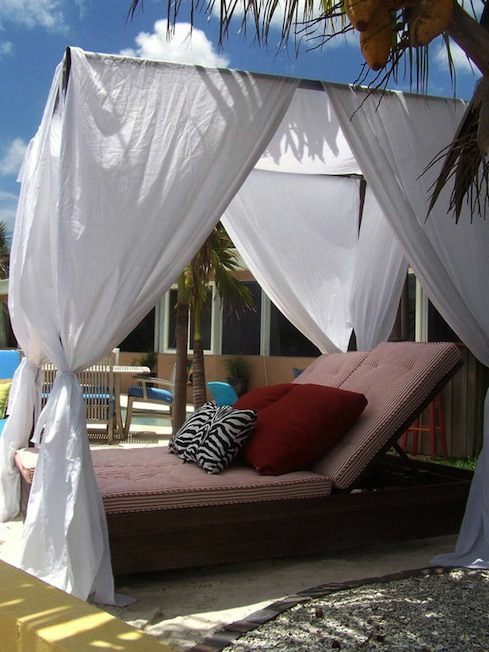 They create privacy and shade just when you need it.